Indeterminate Regular leaf. 85 days. Jason Haynes found a heart shaped fruit from a cross of Cherokee Purple and German Red Strawberry- Purple Strawberry. This is the same tomato, but beefsteaks. Same beautiful color and excellent flavor. Description Not Purple Strawberry NEW 2016 Indeterminate Regular leaf. 85 days. Jason Haynes found a heart shaped fruit from a cross of Cherokee Purple and German Red Strawberry- Purple Strawberry. 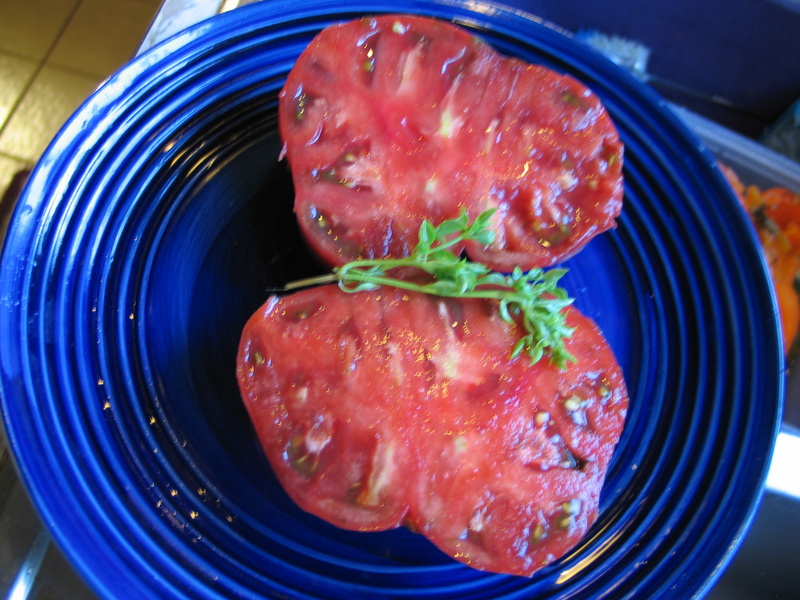 This is the same tomato, but beefsteaks. Same beautiful color and excellent flavor.